After a busy week, the last thing you probably want to do is spend your time pulling out weeds and mowing the grass. But at the same time, you want to keep the garden in tip-top shape so your home or business looks presentable, right? Now is your chance to have someone else take care of the hard work for you. 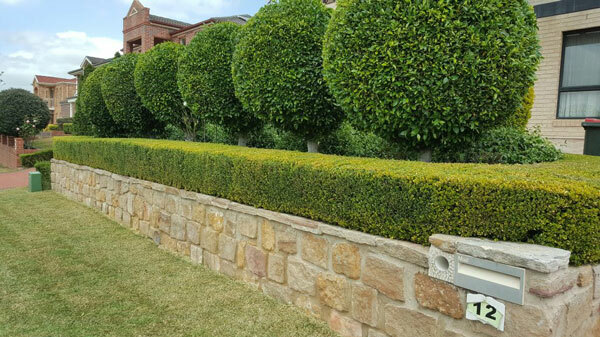 Not just anyone, but a professional lawn maintenance service in Annangrove who will ensure the weeds are plucked, the soil is healthy, and the grass is neatly trimmed – leaving behind that tantalising ‘fresh cut’ scent you know and love. Of course, your garden and landscape is treated with utmost care and designed to perfectly match your existing property. You’ll be blown away by the difference and so will your friends, family, clients and neighbours! Before any work starts, one of our lawn maintenance experts will assess the garden and discuss your specific needs. No matter how much or little amount of work you need from us, we closely follow your guidelines and provide our own expert advice if you’re unsure where to start. From there you’ll receive a custom treatment plan and quote. So you know exactly what to expect once the job is complete. Rest assured the team is fully-equipped with the latest tools and equipment to handle even the toughest jobs. Plus, we use only balanced and eco-friendly organic mulch to provide the essential nutrients your garden needs to flourish. Strata and commercial maintenance – no fixed contract agreements! To protect your home and business, each team members is fully licensed and covered by public liability insurance. And rest assured your property will be spotless once the job is done – no grass clippings, leaves or weeds left behind. Of course, we understand if you’re left unsatisfied – you’ll tell your friends, family and neighbours about it. That’s why Dual Group is built on a foundation of trust, quality assurance, and friendly customer service you can depend on. Take the stress out of garden maintenance. Whether you need to spruce up the home or give your business a facelift, Dual Group can make your life easier. For a free quote on lawn maintenance in Annangrove, simply call 1300 303 539 or send your online enquiry.